Mahabir Danwar Jewellers, Kolkata was founded by Late Shri Mahabir Prasad Soni in 1970 and is currently being managed by his son, Shri Binod Kumar Soni and grandsons Shri Vijay, Shri Arvind, Shri Amit and Shri Sandeep. 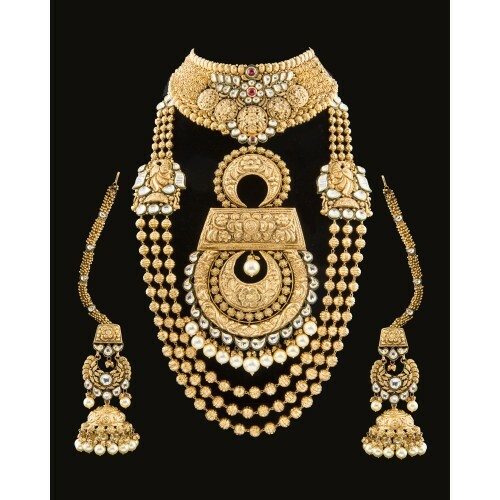 MDJ is engaged in manufacturing, wholesale and retail of exquisite handcrafted Diamond, Polki-Jadau & Antique Gold designer jewelry. MDJ has worked hard to achieve its vision of being the preferred family jeweler for wedding occasions and festivities and has “MAHIRA” The Bridal Jewellery Couture catering to specific needs of the modern Indian Bride & Groom. “MAHIRA” is a bridal jewelry initiative by Mahabir Danwar Jewellers, Kolkata. Mahira is an ode to the Indian bride. Mahira is the destination of alluring handcrafted Diamond, Polki-Jadau & Antique Gold Bridal jewelry. In Mahira each customer experiences customized services in their choice of jewelry. 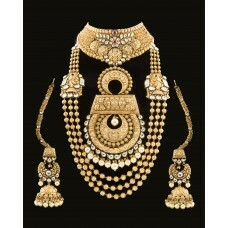 Mahira provides one point of contact to the customers for all their wedding jewelry purchases. Mahira also provide a wide range of award winning bridal jewelry specially handcrafted by the top artisan to give the bride an exquisite look on her most special day. Mahira not only offers a perfect blend of vintage design to modern theme but also gives the extra sparkle to the bride’s aura. The beauty of Mahira’s collection lies in the uniqueness of its design and finishing set in distinctive creations.